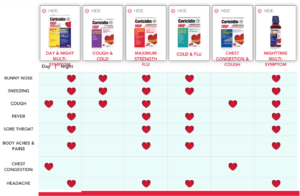 As patients with pre-existing conditions, who may be on a list of prescription medications, it’s important to know which over-the-counter (OTC) medications are safe for CHD patients Recently at an Adult Congenital Heart Disease Conference, Justina Damiani, Inpatient Cardiology Pharmacist at Lurie Children’s, shared her recommendations for OTC meds, for those everyday illnesses or aches and pains. *Please be sure to also consult your own doctor and pharmacist before starting or ending any medication. • Always look at the active ingredient. – Some brand name products may contain medications that are harmful. – Also, watch out for multi-ingredient preparations. 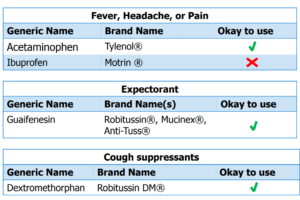 Many cough/cold medications contain pseudoephedrine or phenylephrine which, are not recommended. 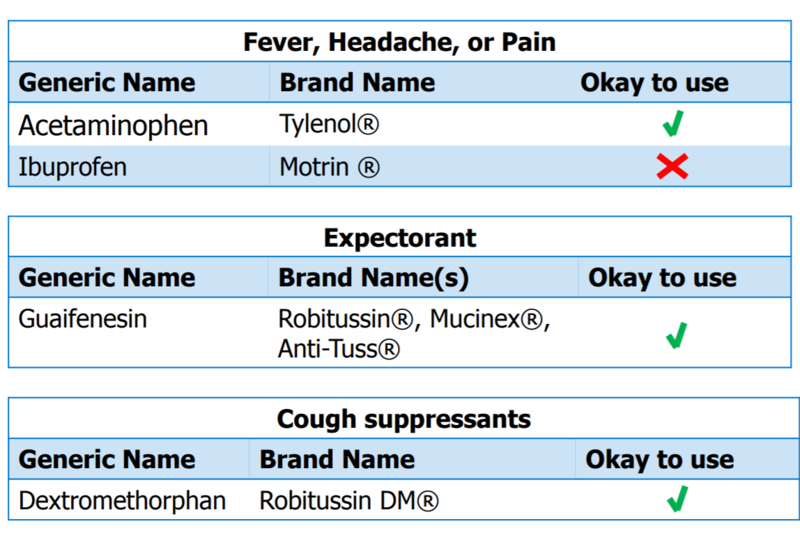 – Avoid medications with a “D” at the end of the name. 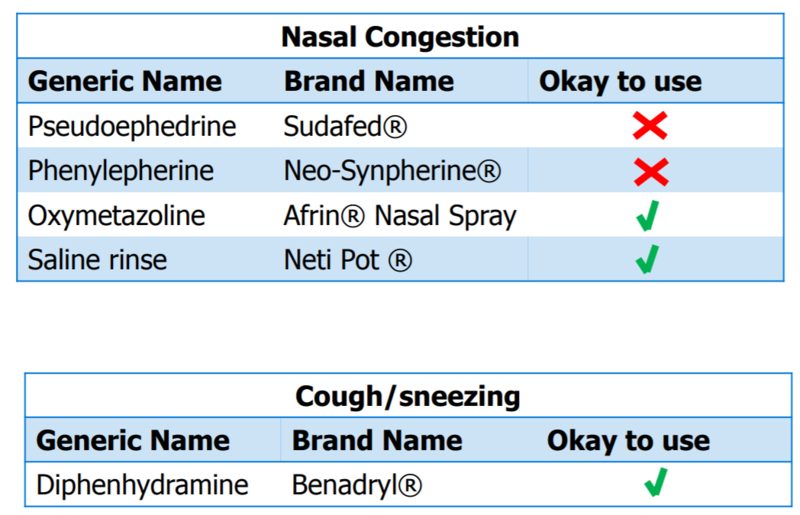 Similar to phenylephrine, pseudoephedrine is also commonly used to treat nasal congestion. These products are stored behind the counter at your local pharmacy and require an ID for purchase. 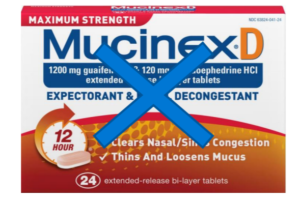 If pseudoephedrine is in a combination product it is usually identified as the “D,” for example Mucinex D ® or Claritin D®. 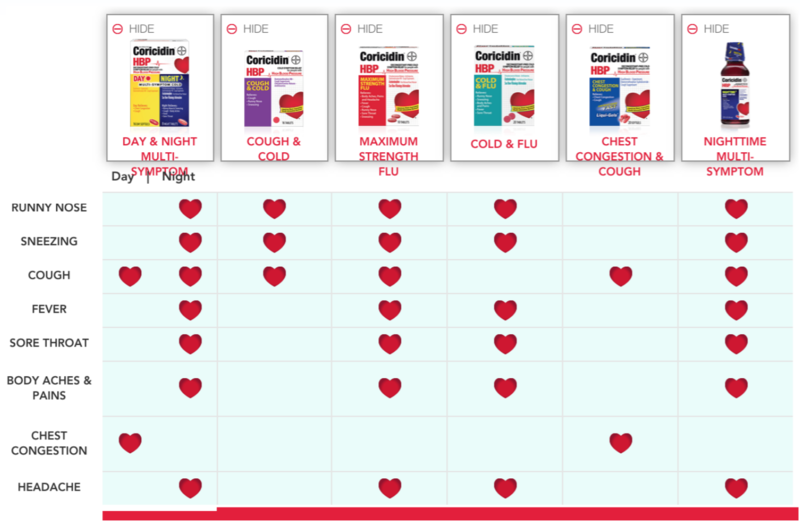 The reason the we recommend to avoid use is that pseudoephedrine commonly causes increases in blood pressure, heart palpitations, increases in heart rate and potentially cardiac arrhythmias. 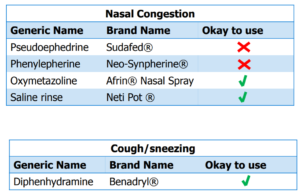 Phenylephrine is commonly used to treat nasal congestion during the common cold. This can be purchased as a single ingredient product or in combination with other medications. If it is a combination product there is usually a “PE” on the label. While this is very effective in treating nasal congestion, it also can cause unsafe increases in blood pressure. Although rare, it can also worsen heart failure or induce cardiac arrhythmias. 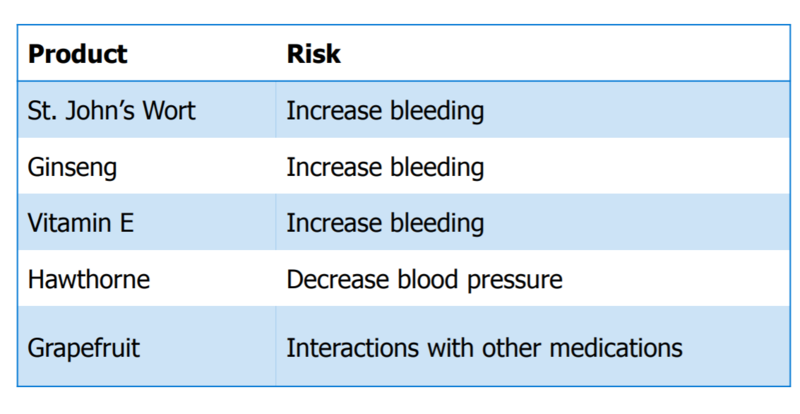 Ibuprofen can be safe to use in certain people. Definitely talk to your provider if you are interested in using this for yourself, or your patient. Ibuprofen is often used for pain control and to treat fevers. This drug can be very helpful for both of those indications. The reason it can be considered unsafe is that it can hurt the kidneys. This is more of a concern in patients who already have underlying kidney issues. 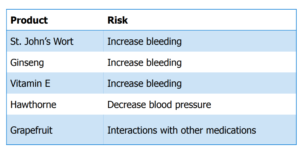 This medication is commonly used in patients with cardiac disease unless you have baseline kidney issues or you were told to avoid it by your doctor. 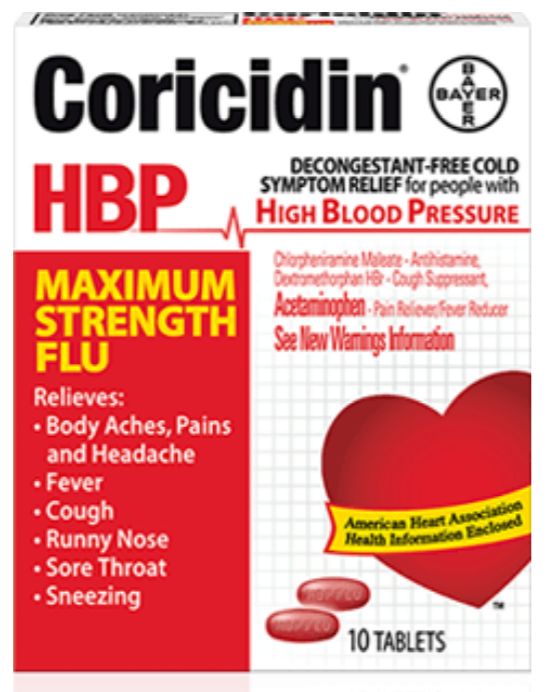 Coricidin HBP (High Blood Pressure) is recommended for anyone greater than 12 years old. The below chart lists the Coricidin HBP products available for various Cold and Flu symptoms, as well as products suitable for day or nighttime. Often, heart patients experience symptoms outside of cold and flu, such as gastrointestinal irritation. Below are some tips on OTC medications for these issues. 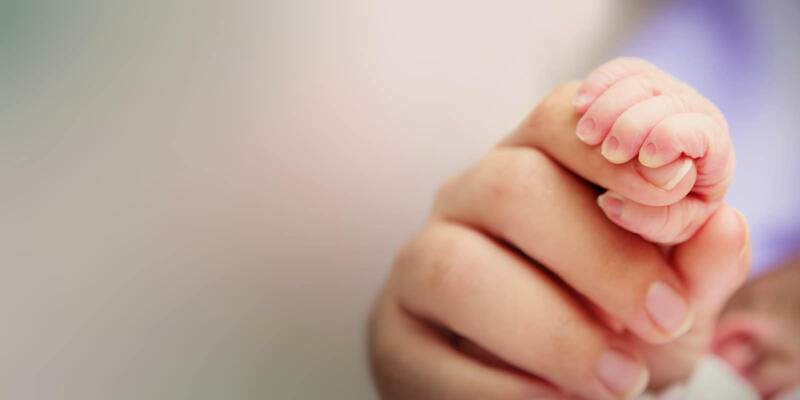 Another option to give careful consideration is the use of Herbal products. While the category name may sound safe, the product may not always be so. • What supplements or herbal products should I avoid? • Get to know your pharmacist! – Is there a local pharmacy that has “down” time or a counseling room? • Can you get a 3 month supply near the end of December? – Prior authorizations may need to be renewed around this time! 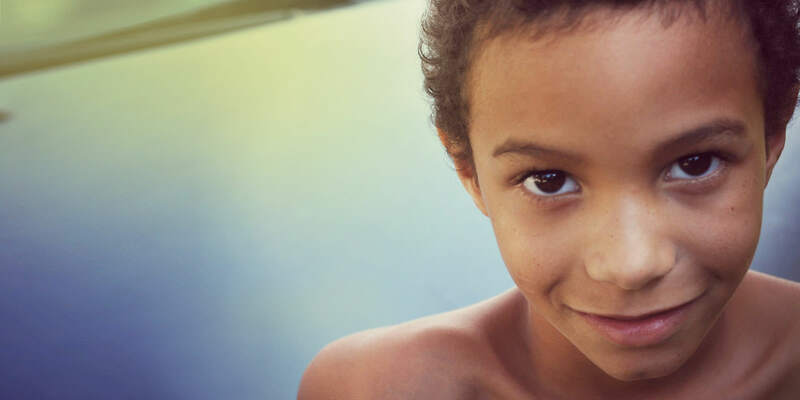 – Store medications away from children – locked up? Justina Damiani is a clinical pharmacist at Lurie Children’s Hospital and primarily works in the cardiac intensive care unit. She received her PharmD from Purdue University. She completed two years of residency, the first at the University of Georgia followed by a pediatric pharmacy residency the University of Michigan. 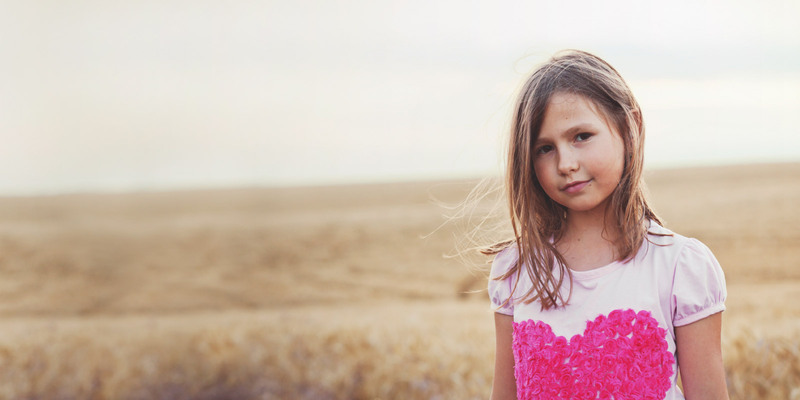 She enjoys running, yoga, and spending time in warm weather.